tech that keeps you cool, calm, connected and collaborative. Whether you’re working internally or with the public, QOMO has your interactive solution. It’s technology that keeps you more in touch, not less. Get virtually everyone on the same, virtual page. Tech that helps you do more, faster. Collaboration takes place in the security of your local network. technology that works for everyone. a panel that promotes agreement. Improve the quality and accessibility of training sessions with the crystal clear digital display of the Journey 13 Series, and interactive response technology that gives everyone a voice. The QOMO podium has ultra-fast on-screen response time and allows for more efficient design and engineering. 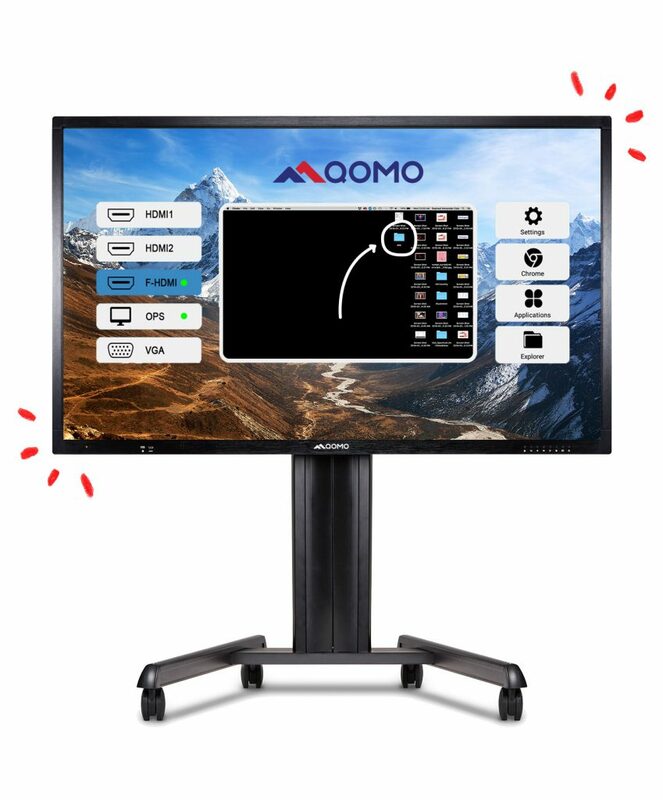 The QOMO QConnect allows up to 64 people at a time to share and collaborate from their own devices. Our interactive touch technology transforms any smooth surface­ — from a projector screen to a blank wall — into an advanced presentation tool. collaboration software that actually plays well with others. Our presentation software allows you to annotate and work over or alongside any software application, your existing content, or even over a web browser. "I really enjoy working with QOMO and are looking to buy more products because their customer service is simply outstanding."